Personalized responsive bar environment, driven by wearable RFID tags. Displaying data visualization of attendee's favorite drinks, and stories about other people who share the love for these drinks. This interactive bar is a component of a wide personalized and responsive environment. It was created in collaboration with Super Uber for DirecTV, who were looking to create an immersive experience when revealing new personalized ads feature in a keynote event. Guests of the event wore an RFID wristband, which was used to personalize different areas in the venue, when approached by guests, via RFID readers (and corresponding database). 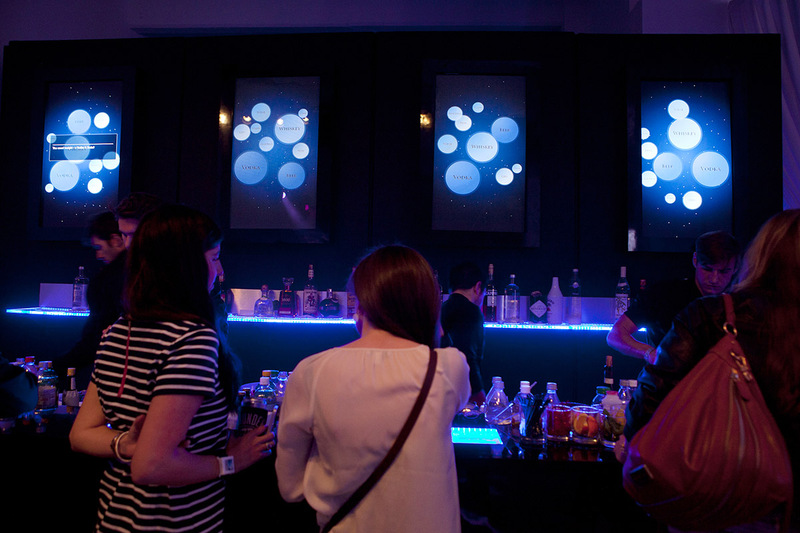 The bar experience greeted guests with a series of screens, displaying a bubble-chart visualization of all guests favorite drinks. The screen personally greets every person approaching the bar and informs the bar-tender about the specific beverage to prepare for this person. 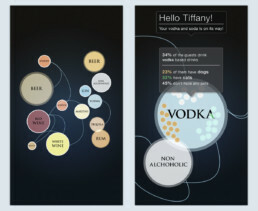 The visualization then goes on to display data stories about other guests who share the love of this drinks, while animating the bubbles between the different states of visualization. Responsive environments have an interesting impact on users. 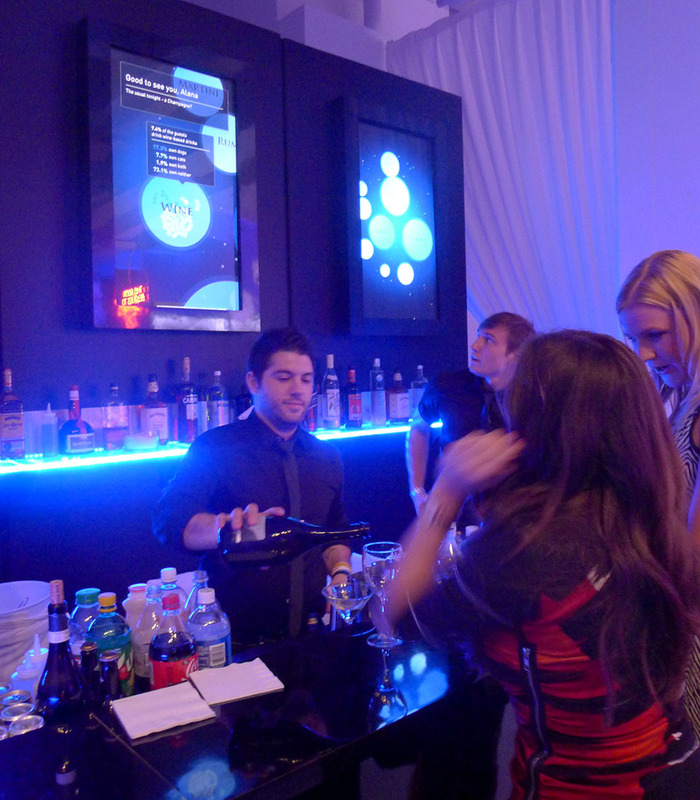 People are fairly accustomed to interactive devices, customized to their needs, but when this happens in a physical environment, it brings a sense of wonder, and many guests returned to the bar just to try it all over again.